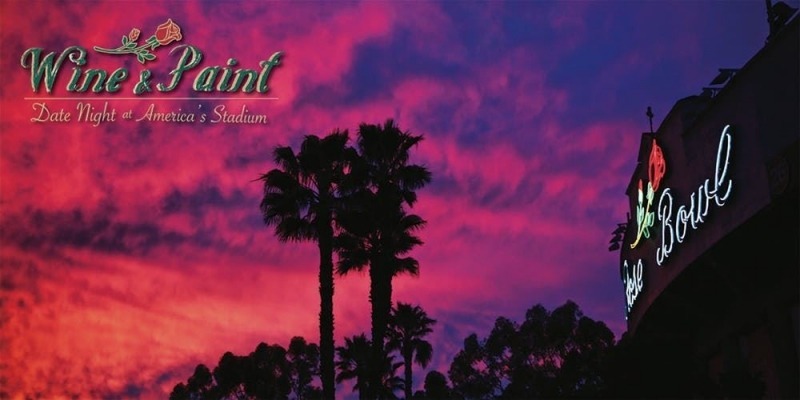 Join in the fun at the first ever Wine & Paint Night Fundraiser at the Rose Bowl Stadium! *All proceeds go to the Rose Bowl Legacy Foundation, whose primary purpose is to preserve, protect and enhance America’s Stadium. Celebrate Valentine’s Day with your sweetheart or friends while you paint a diptych couples painting in the South Press Box at the iconic Rose Bowl Stadium. Enjoy unlimited pours from San Antonio Winery, snacks and socializing while an experienced local artist leads you step by step through the process of re-creating the featured Rose Bowl painting.